Tuesday 23 April 2019 02:24 | WorldAntique.net in 2 countries | 69 antique dealers present: 140,863 antiques with photo. 9 conservator, 4 antique fairs, 4 associations. Herregaard Danish silver flatware cutlery Danish table silverware of three Towers silver or 830S silver by C.M. Cohr. 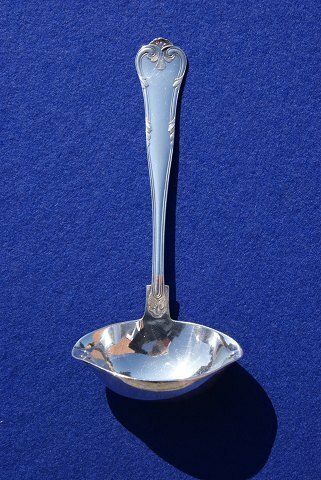 Gravy ladle or sauce spoon of 3 Towers silver and in a good, used condition. Stock: 1 spoon, but please contact us for current stock.